Student loans are not a fun process for anyone, but for some students who don't have contact with their parents, it can make the already difficult process even harder. To fix that problem, on Monday Congressman Elijah E. Cummings was joined by U.S. 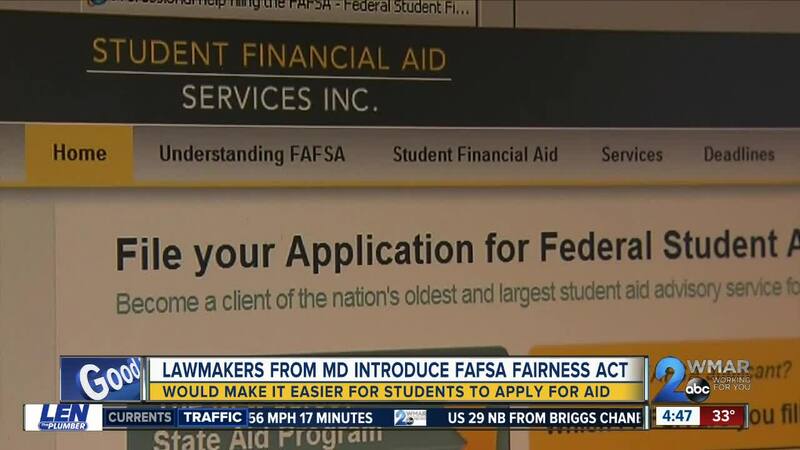 Senators Ben Cardin and Chris Van Hollen, as well as Congressmen Dutch Ruppersberger and John Sarbanes to introduce the FAFSA Fairness Act of 2019. The legislation would simplify the process to apply for financial aid for students who do not have contact with their parents. And the others who proposed the bill echoed Cummings' beliefs. They all said that it is not fair to hold back certain students because they don't have the finances or the opportunity to apply for financial aid. “We must make it easier for every student in America to apply for and receive financial assistance to make informed decisions about higher education,” said Sarbanes. “The FAFSA Fairness Act will ensure that any student – regardless of financial situation or family dynamics – can have the same ease of access to the FAFSA application process. Students who don't have contact with their parents, or those who meet other criteria established by educational institutions, would be able to complete the Free Application for Federal Student Aid as "provisionally independent" students under the new bill if it passes. Right now, those student must undergo a "dependency override" at each place they apply before they are able to be even considered for financial aid. This bill would not increase the workload of college financial aid administrators, it would make things easier for those students and potentially provide an incentive to complete the pricess and enroll in higher education.